A little over a year ago on the eve of 2012, Joey and I were sitting around a fire with some of our closest friends and discussing the dawning of a new year. One by one we went around the circle, each of us sharing in turn some of our most closely held ambitions. One of my goals was to design and publish a knitting pattern (which I did here and here). One of Joey’s goals was to build and open a recording studio (which he did here). When it came to our friend Israel’s turn, he looked at his wife Laura and shared that they really wanted to become parents in the coming year. I’m excited to share that he and Laura will be welcoming little Miss Willow Blanche towards the end of February! 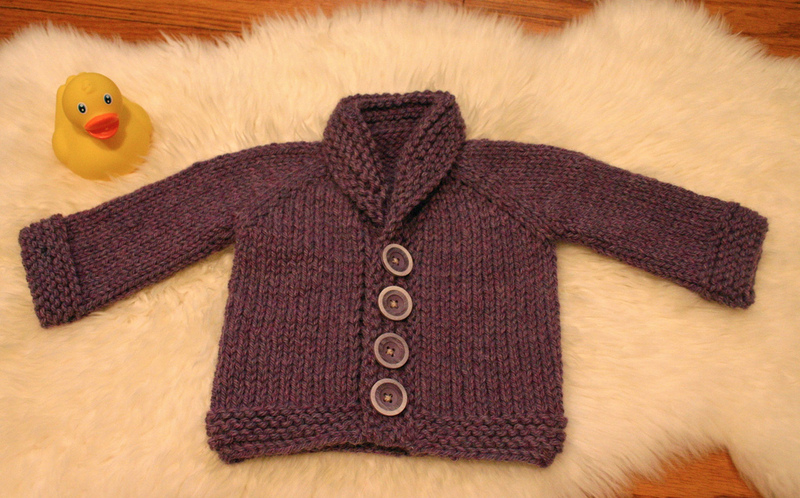 Of course I had to pour my love and excitement for them into a couple of snuggly knits for this little one and now that they have been gifted I can share them with you. 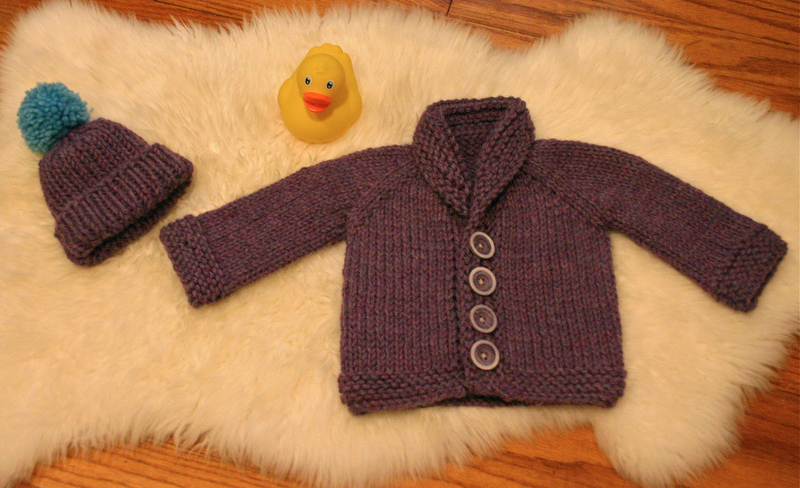 The cardigan is the Baby Sophisticate pattern which is a really quick and adorable knit. 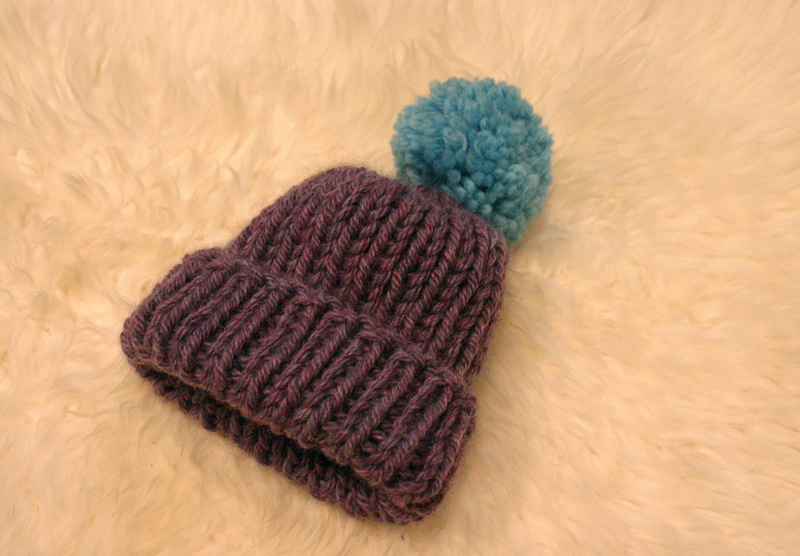 The hat is the Super Soft Super Simple Baby Hat by the Purl Bee and I am in love with the silly pom pom on top. I used Berroco Vintage chunky yarn for both.